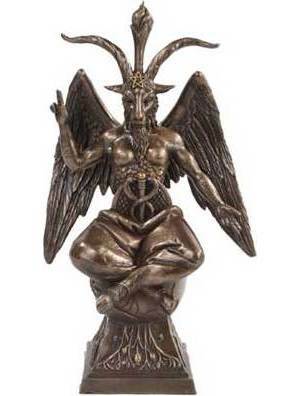 Depicting the image of Baphomet, this statue depicts the God as a masculine but in balance the Goddess. as well as a symbol of perfect balance between the spiritual and psyhical realms. Cold cast resin. 9 1/2" x 5 1/2" x 3 1/4"